Jul. 1982–Aug. 1983: Research Engineer at St. Gobain Recherches in Paris, France. Assignments included modeling of industrial processes in the glass industry. Sep. 1983–1995: Assistant Professor, then Associate Professor, Department of Mechanical Engineering, Aeronautical Engineering, and Mechanics at the Rensselaer Polytechnic Institute in Troy, NY. Sep. 1995–Aug. 2010: Professor, Daniel Guggenheim School of Aerospace Engineering at the Georgia Institute of Technology in Atlanta, Georgia. Aug. 2010–Aug 2014: Professor, University of Michigan-Shanghai Jiao Tong University Joint Institute in Shanghai, China. 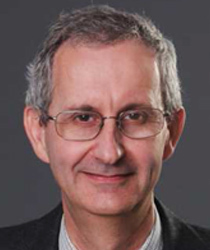 Aug. 2014–Aug 2015: Professor, Department of Mechanical and Aerospace Engineering at The Hong Kong University of Science and Technology in Hong Kong. Aug. 2015–present: Professor, Department of Aerospace Engineering at the University of Maryland, College Park, Maryland. 2015 d’Alembert Award of the American Society of Mechanical Engineers. The d'Alembert Award, established in 2005, recognizes lifelong contributions to the field of multibody system dynamics. Prix Auguste Sacr´e awarded by the Acad´emie Royale des Sciences, des Lettres et des Beaux-Arts de Belgique for the period 1994–2000. In recognition of his work in Structural Dynamics, and Rotors and Rotor Blade Dynamics. The National Aeronautics and Space Administration Group Achievement Award awarded to the NASA/Army UH-60A Airloads Program Team for enabling, for the first time, the characterization and understanding of a helicopter’s complex, unsteady, aerodynamic operating environment. May 2007. Fellow of the American Society of Mechanical Engineers, 2009. “Thanks for being a great teacher!” award. In appreciation of your teaching style and dedication to helping student learn in Advanced Dynamics, Georgia Institute of Technology Center for the Enhancement of Teaching and Learning, May 3, 2007. “Thanks for being a great teacher!” award. In appreciation of your teaching style and dedication to helping student learn in Advanced Dynamics, Georgia Institute of Technology Center for the Enhancement of Teaching and Learning, March 30, 2010. Appointed “Zhiyuan Chair Professor of Mechanical Engineering” at Shanghai Jiao Tong University in 2011.Awarded the “1000 People Plan” of the Chinese Government in 2011. The book entitled “Flexible Multibody Dynamics” has won the 2012 Textbook Excellence Awards (Texty Award) from the Text and Academic Authors Association. August-Wilhelm Scheer Visiting Professor at the Technische Universit¨at M¨unchen, M¨unchen, Germany, Jun. 2–25, 2015. Host: Prof. Carlo Bottasso, Lehrstuhl f¨ur Windenergie. American Institute of Aeronautics and Astronautics, Senior Member 1985–present. Advisory Board: Multibody System Dynamics. Member 2002–present. Multibody Dynamics,” January 2006; ASME Journal of Computational and Nonlinear Dynamics, special issue on “Computational Multibody Dynamics,” July 2010.
International Federation for the Promotion of Mechanism and Machine Science. Committee on Multibody dynamics. Teaching and conducting research in the fields of multibody dynamics, rotorcraft aero-mechanical comprehensive modeling, structural dynamics, and composites materials and structures. Bauchau, O.A. and Craig, J.I. : Structural Analysis with Application to Aerospace Structures. Springer, Dordrecht, Heidelberg, London, New-York, 2009. ISBN 978-90-481-2515-9. Bauchau O.A: Flexible Multibody Dynamics. Springer, Dordrecht, Heidelberg, London, New-York, 2011. ISBN 978-94-007-0334-6. This book has won a 2012 Textbook Excellence Award (Texty Award) from the Text and Academic Authors Association. Wang, J.L., Shan, X.W., Wu, B., and Bauchau, O.A. : “Time domain approaches to the stability analysis of multibody dynamic systems.” Submitted to Journal of Computational and Nonlinear Dynamics, 2015. Han, S.L. and Bauchau, O.A. : “Three-Dimensional Non-linear Shell Theory.” Submitted to International Journal for Numerical Methods in Engineering, 2015. Han, S.L. and Bauchau, O.A. : “On the Saint-Venant’s Problem for Helicoidal Beams.” Submitted to International Journal for Numerical Methods in Engineering, 2015. Han, S.L. and Bauchau, O.A. : “On the Solution of Almansi-Michell’s Problem.” To appear in International Journal of Computers and Structures, 2015. Han, S.L. and Bauchau, O.A. : “Three-Dimensional Plate Theory.” Submitted to Computers and Structures, 2015. Kwak, J.Y., Cho, H.S., Chun T.Y., Shin, S.J., Bauchau, O.A. : “Domain Decomposition Approach Applied for Two- and Three-dimensional Problems via Direct SolutionMethodology.” International Journal of Aeronautical and Space Sciences, 16(2): pp 177-189, 2015. Bauchau, O.A., Han, S.L., Mikkola, A., Matikainen, M.K. and Gruber, P.: “Experimental Validation of Flexible Multibody Dynamics Beam Formulations.” Multibody System Dynamics, 34(4): pp 373-389, 2015. Han, S.L. and Bauchau, O.A. : “Nonlinear Three-Dimensional Beam Theory for Flexible Multibody Dynamics.” Multibody System Dynamics, 34(3): pp 211-242, 2015. Bauchau, O.A. and Han, S.L. : “Three-Dimensional Beam Theory for Flexible Multibody Dynamics.” Journal of Computational and Nonlinear Dynamics, 9(4), 041011 (12 pages), 2014. Kwak, J.Y., Chun T.Y., Shin, S.J., Bauchau, O.A. : “Domain decomposition approach to flexible multibody dynamics simulation.” Computational Mechanics, 53(1): pp 147-158, 2014. Bauchau, O.A., Han, S.L., Mikkola, A., and Matikainen, M.K. : “Comparison of the Absolute Nodal Coordinate and Geometrically Exact Formulations for Beams.” Multibody System Dynamics, 32(1): pp 67-85, 2014. Bauchau, O.A. and Han, S.L. : “Interpolation of Rotation and Motion.” Multibody System Dynamics, 31(3): pp 339-370, 2014. Bauchau, O.A. and Han, S.L. : “Flexible Joints in Structural and Multibody Dynamics.” Mechanical Sciences, 4(1): pp 65-77, 2013. Bauchau, O.A., Xin, H., Dong, S.Y., Li, Z.H., and Han, S.L. : “Intrinsic Time Integration Procedures for Rigid Body Dynamics.” Journal of Computational and Nonlinear Dynamics, 8(1), 011006 (9 pages), 2013. Kwak, J.Y., Cho, H.S., Shin, S.J., and Bauchau, O.A. : “Development of Finite Element Domain Decomposition Method Using Local and Mixed Lagrange Multipliers.” Journal of the Computational Structural Engineering Institute of Korea, 25(6): pp 469-476, 2012. Chierichetti, M., McColl, C., Palmer, D., Ruzzene, M., and Bauchau, O.A. : “Combined Analytical and Experimental Approaches to Rotor Components Stress Predictions.” Proceedings of the Institution of Mechanical Engineers, Part K: Journal of Multi-body Dynamics, 225: pp 322-330, December 2011. Skjoldan, P.F. and Bauchau, O.A. : “Determination of Modal Parameters in Complex Nonlinear Systems.” Journal of Computational and Nonlinear Dynamics, 6(3), 031017 (10 pages), 2011. Bauchau, O.A., Li, L.H., Masarati, P. and Morandini, M.: “Tensorial Deformation Measures for Flexible Joints.” Journal of Computational and Nonlinear Dynamics, 6(3), 031002 (8 pages), 2011. Bauchau, O.A. and Li, L.H. : “Tensorial Parameterization of Rotation and Motion.” Journal of Computational and Nonlinear Dynamics, 6(3), 031007 (8 pages), 2011. Bauchau, O.A. and Wang, J.L. : “Efficient and Robust Approaches for Rotorcraft Stability Analysis.” Journal of the American Helicopter Society, 55(3), 032006, pp 1–12, 2010. Bauchau, O.A., van Weddingen, Y. and Agarwal, S.: “Semi-Active Coulomb Friction Lead-Lag Dampers.” Journal of the American Helicopter Society, 55(1), 012005, pp 1–12, 2010. Bauchau, O.A. : “Parallel Computation Approaches for Flexible Multibody Dynamics Simulations.” Journal of the Franklin Institute, 347(1), pp 53–68, 2010. Bauchau, O.A. and Epple, A.: “Improved Computational Strategies for Rotor Blades Presenting High Gradients in Sectional Properties.” Journal of the American Helicopter Society, 54(2), pp 025001 1–7, 2009. Bain, J.J., Sankar, L.N., Prasad, J.V.R., Bauchau, O.A., Peters, D.A., and He, C.: “Computational Modeling of Variable-Droop Leading Edge in Forward Flight.” Journal of Aircraft, 46(2), pp 617–626, 2009. Bauchau, O.A., Epple, A., and Bottasso, L.: “Scaling of Constraints and Augmented Lagrangian Formulations in Multibody Dynamics Simulations.” Journal of Computational and Nonlinear Dynamics, 4(4), pp 021007-1– 9, 2009. Bauchau, O.A., Epple, A. and Heo, S.D. : “Interpolation of Finite Rotations in Flexible Multibody Dynamics Simulations.” Proceedings of the Institution of Mechanical Engineers, Part K: Journal of Multi-body Dynamics, 222(K4), pp 353–366, 2008. Maqueda, L.G., Bauchau, O.A. and Shabana, A.A.: “Effect of the Centrifugal Forces on the Finite Element Eigenvalue Solution of a Rotating Blade: a Comparative Study.” Multibody System Dynamics, 19, pp 281–302, 2008. Bauchau, O.A. and Laulusa, A.: “Review of Contemporary Approaches for Constraint Enforcement in Multibody Systems.” Journal of Computational and Nonlinear Dynamics, 3(1), pp 011005 1–8, January 2008. Laulusa, A. and Bauchau, O.A. : “Review of Classical Approaches for Constraint Enforcement in Multibody Systems.” Journal of Computational and Nonlinear Dynamics, 3(1), pp 011004-1– 8, January 2008. Bauchau, O.A. and Wang, J.L. : “Efficient and Robust Approaches to the Stability Analysis of Large Multibody Systems.” Journal of Computational and Nonlinear Dynamics, 3(1), pp 011001-1–12, January 2008. Shabana, A.A., Bauchau, O.A., and Hulbert, G.M. : “Integration of Large Deformation Finite Element and Multibody System Algorithms.” Journal of Computational and Nonlinear Dynamics, 2(4), pp 351– 359, October 2007. Do, N.B., Ferri, A.A., and Bauchau, O.A. : “Efficient Simulation of a Dynamic System with LuGre Friction.” Journal of Computational and Nonlinear Dynamics, 2(4), pp 281–289, October 2007. Bottasso, L., Bauchau, O.A. and Cardona, A.: “Time-Step-Size Independent Conditioning and Sensitivity to Perturbations in the Numerical Solution of Index-3 Differential Algebraic Equations.” SIAM Journal on Scientific Computing, 29(1), pp 397–414, 2007. Bauchau, O.A. and Wang, J.L. : “Stability Evaluation and System Identification of Flexible Multi-Body Systems.” Multibody System Dynamics, 18(1), pp 95–106, 2007. Laulusa, A., Bauchau, O.A., Choi, J.Y., Tan, V. and Li, L.: “Evaluation of some Shear Deformable Shell Elements.” International Journal of Solids and Structures, 43, pp 5033–5054, 2006. Bauchau, O.A. and Ju, C.K. : “Modeling Friction Phenomena in Flexible Multibody Dynamics.” Computer Methods in Applied Mechanics and Engineering, 195(50–51), pp 6909–6924, 2006. Bauchau, O.A. and Liu, H.Y. : “On the Modeling of Hydraulic Components in Rotorcraft Systems.” Journal of the American Helicopter Society, 51(2), pp 175–184, 2006. Bauchau, O.A. and Wang, Jielong: “Stability Analysis of Complex Multibody Systems.” Journal of Computational and Nonlinear Dynamics, 1(1), pp 71–80, 2006.